Dapper Dan attends the 70th Annual Parsons Benefit on May 21, 2018, in New York City. One of the biggest fashion stories of 2018 was the unlikely union of groundbreaking designer Daniel “Dapper Dan” Day and one-time nemesis Gucci. After being called out for sending its own versions of Dan’s classic hip-hop-era designs down their 2018 Resort runway, the Italian luxury label did more than apologize; they helped restore the father of urban fashion to his former glory. The past year has seen the launch of Dan’s ongoing collaboration with the legacy brand under his own sub-label, the opening of a brownstone-based, Gucci-funded atelier in his native Harlem, and even an instantly sold-out book celebrating his legacy in the historically black neighborhood. 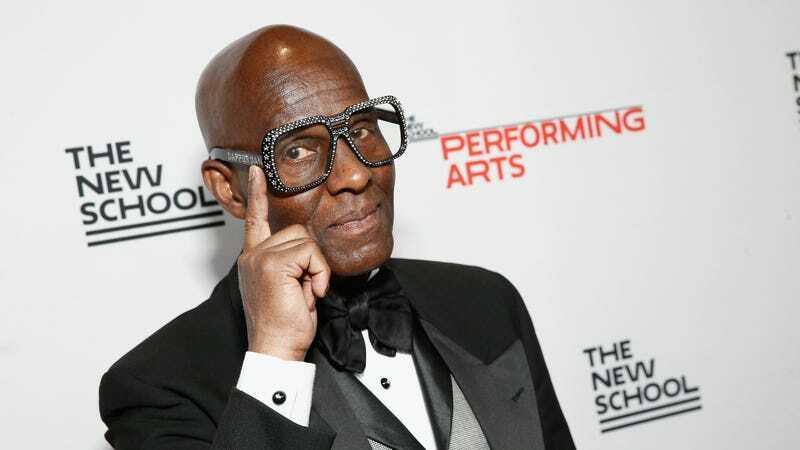 But in light of recent controversy over an ill-advised sweater design that many felt evoked blackface, Dapper Dan has been forced to take a stand. As celebs like T.I., Spike Lee, Soulja Boy, and more call for boycotts of Gucci and fellow Italian label Prada over incidences of what many perceive to be racist overtones in their designs, on Sunday, the most prominent black member of the Gucci empire (albeit not associated with the design in question) spoke out via Instagram. No word yet on the date of the meeting, or who might be joining Dan for this summit on much-needed cultural awareness and potential reparations. But those expecting the designer to simply become a convenient mouthpiece or token for the brand he’s currently in partnership with should likely press pause. Dapper Dan endured being put out of business by European design houses before, and he lived to not only tell the tale but rewrite the narrative. In what might be a full-circle moment, he is now potentially in a position to take them to task.